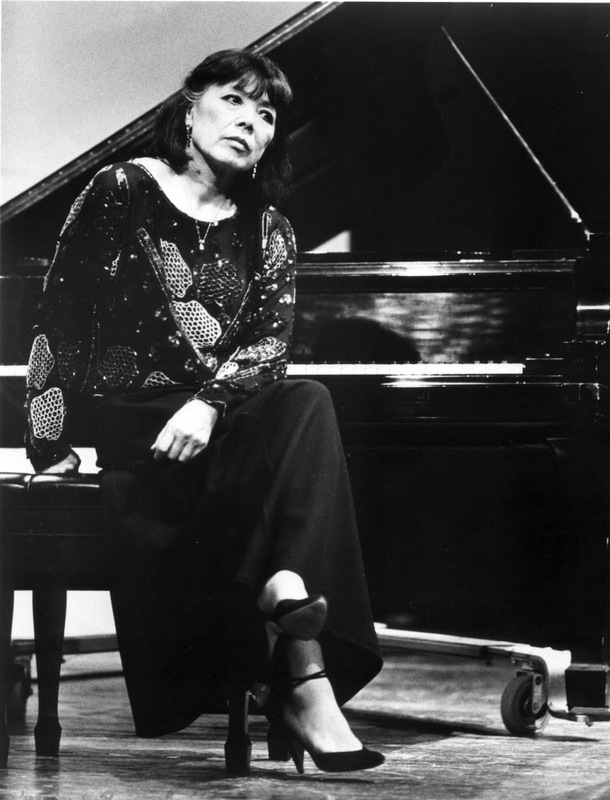 Japanese pianist Toshiko Akiyoshi, NEA Jazz Master and fourteen-time Grammy nominee, is probably best known for her long-running jazz orchestra featuring husband Lew Tabackin. Recently she has been concentrating more on trio work and is performing her first London club engagement in the smaller format – at the astonishing age of 86. Akiyoshi’s style is robust and energetic, as might be expected following a lifetime of performing and leading a big band from the piano stool. It’s also no surprise that her musical conception, even in the intimate format of a piano trio, is one of arrangement rather than total spontaneity. For these series of performances Akiyoshi is joined by London regulars Dave Green (double bass) and Matt Home (drums), who even on this fourth and final night spend a lot of time glued to their parts. Opening with her signature tune Long Yellow Road, Akiyoshi gave the first of several context-setting introductions about her life and work. Born in Manchuria in 1929, her family moved back to Japan after the second world war where she heard jazz piano on black market records and fell in love with the music. Born in China to Japanese parents, she was discovered by Oscar Peterson playing at a club in Ginza in 1952. She was the first Japanese student at Berklee. Akiyoshi connected this life as an outsider with George Gershwin’s relationship to his opera Porgy and Bess, a white Jewish composer writing about black slum-dwellers, and performed three of Gershwin’s immortal tunes from the work: I Got Plenty Of Nothing (featuring Home’s sharp drumming), It Ain’t Necessarily So (an opportunity for Dave Green to shine, as he invariably does) and finally I Loves You, Porgy as a piano solo. The evening progressed with no let-up in pace, Akiyoshi combining sprightly takes on standards like I’m Old Fashioned and It Could Happen To You with her own compositions including a solo The Village with its driving left-hand riff almost reminiscent of Cecil Taylor. 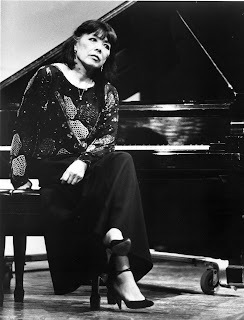 Akiyoshi spoke of her mentor Bud Powell (who died over 50 years ago in 1965) and performed her tribute to him, Remembering Bud, followed by a high-speed run at Powell’s own Tempus Fugit, the energy of which saw the pianist swinging her legs into the air as she moved up and down the keyboard. Closing with another signature composition, Hope from her Hiroshima suite, Akiyoshi left me thinking that her life and her music are surely like love and marriage and a horse and carriage – intertwined and inseparable.